What is Poi? — Taro Dream Inc.
Poi - The Ancient, New Superfood. Poi is considered the most digestible food on earth! In Hawaii, Poi is derived from the fermented paste of the taro corm (Colocasia esculenta) and is an ancient and sacred life giving food. Poi is hypoallergenic, is naturally gluten free and contains heat and acid tolerant, plant-based microorganisms that have been validated by research to be safe and highly beneficial. Poi is also considered to be one of the most digestible foods on earth and has been recently shown in research to kill cancer cells in the colon. The use of Poi is said to have led Captain James Cook and other early western visitors to Hawaii to describe native Hawaiians as being an exceptionally healthy people. More recent scientific studies have substantiated the observation that pre-western contact Hawaiians were among the healthiest races on earth. Very few food staples exist anywhere in the world that can be considered hypoallergenic, are rich in calcium, potassium, phosphorus, magnesium, a good source of B vitamins, contain vitamins A and C, minerals, and a small measure of high quality, easily digestible protein. Kalo, or Taro, as it is more commonly known, is not only nutritious but is considered to be a beneficial carbohydrate food that provides a high fiber, slow-release energy food source that may be beneficial for the more than 100 million people worldwide that suffer from diabetes. Scientific studies have substantiated the observation that pre-western contact Hawaiians were among the healthiest races on earth. Native Hawaiians believe their ancestral beginnings, which is described in the Kumulipo (genealogical historical chant), to the Taro plant (Colocasia esculenta). Hawaiian Poi is made from the corm of the Taro plant and is considered by native Hawaiians to be their Life-giving ancestral food. In Hanalei, Kauai on the Kobayashi organic farm, Uncle Jerry Konanui, master farmer, shares his knowledge about the wisdom of ancient Hawaiians and their deep understanding of the natural world. He addresses the importance of biodiversity and understanding the "name and story" of every plant. He challenges modern day science and its flawed approach. The Taro plant and Poi are believed by Hawaiians to have the greatest life force of all foods. Traditionally, the making of Poi from the corm of the taro plant is considered a ceremony of life that brings people together and supports the relationship of family. Out of the parent taro corm grows the keiki or children of the plant. The Hawaiian word Ohana (extended family) has a literal meaning of “all from the shoots”. Taro and Poi symbolize the extended family and a deep family bond. All of the family works in the taro patch, from the very youngest to the oldest. The Ohana (family) cooperated in the spirit of hoolaulima (working together). Poi is all about the family. Very few food staples exist anywhere in the world that can be considered hypoallergenic, are rich in calcium, potassium, phosphorus, magnesium, a good source of B vitamins, contain vitamins A and C, minerals, and a small measure of high quality, easily digestible protein. Kalo, or Taro, as it is more commonly known, is not only nutritious but is considered to be a beneficial carbohydrate food that provides a high fiber, slow-release energy food source that may be beneficial for the more than 100 million people worldwide that suffer from diabetes. Taro is grown and consumed throughout many parts of the world. The use of Poi as a cultural and spiritual experience however, was unique and indigenous to the Hawaiian people. In Hawaii, Poi is both traditionally and currently used for the prevention and cure of many health conditions in addition to being a “sacred” food of great cultural significance. 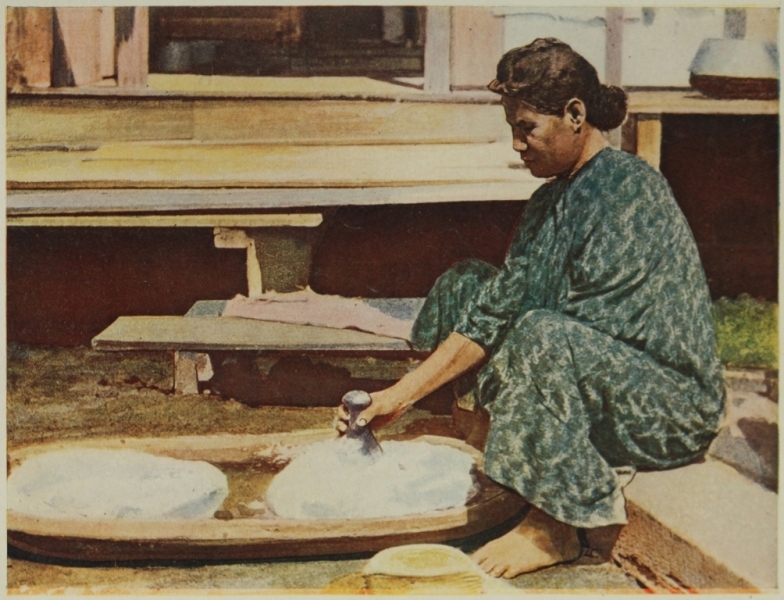 Poi is an indigenous, traditionally fermented, culturally valuable, food staple of native Hawaiians. Poi is composed of small granules that are extremely digestible. Poi is considered the most digestible food on earth! In Hawaii, Poi is both traditionally and currently used for the prevention and cure of many health conditions in addition to being a “sacred” food of great cultural significance. Poi is an excellent substitute for dairy, soy, and grain products. The benefits of poi in the alleviation of many diseases have been demonstrated in studies. Infectious and intestinal disease (Fung and Bushnell 1948), food allergy and as an excellent substitute for dairy, eggs and grains, premature infants, celiac disease, cystic fibrosis, dental caries, eczema, asthma and respiratory illness, Hansen’s disease, mental illness, tuberculosis, restricted diets, malnutrition, elderly concerns, gastric ulcers, and hyperacidity (Glaser et al 1965). Worldwide, Lactose intolerance affects more than 2.25 billion adults and 600 million under the age of twenty. General food allergies may affect over 200 million people worldwide and some 3 to 4 billion of people on this planet now suffer nutritional-related diseases. More than 1.2 million Americans will develop cancer this year. One of the most prevalent and debilitating side effects of this disease is lack of appetite, the inability to hold down normal food, and the inability to access nutrition from food. The results of these side effects are malnutrition and cachexia. 40-80% of all patients with cancer experience some degree of malnutrition, which is a major cause of morbidity and mortality. Taro Dream® has demonstrated positive results with cancer patients and will provide many of those suffering from this disease a delicious, easy to digest, nourishing food source. A widespread belief is emerging among scientists, health professionals and the general public that the use of food, especially fermented food, to treat disease, is far superior to pills, drugs, and food isolates. An amazing opportunity exists to address the health concerns and nutritional needs of countless people through the use of poi. An amazing opportunity exists to address the health concerns and nutritional needs of countless people through the use of poi. Hawaii Healing Food™ and BioNative Nutrition™ will continue to conduct research on the benefits of poi while remaining conscious and ever respectful towards the spiritual aspects of this native food source. The gluten free, energy dense characteristics of Hawaii Healing Food(™) makes this product a nutritional supplement for people with cachexia, AIDS and those who are diagnosed as failure-to-thrive. Hawaii Healing Food™ and Taro Dream® products are a low-allergenic, energy dense, gluten free food source and will help to solve the problem of the growing concern over the increasing incidence of food allergies and celiac disease (the inability to digest gluten). For the 15 million Americans with food allergies and the more than 3 million with celiac disease and gluten intolerance, locating food that they can eat may get easier in the near future. In 2006, many foods and supplements currently on the market were identified as potential allergen and gluten based foods. The U.S. Food Allergen Labeling and Consumer Protection Act (FALCPA) mandated that by January 2006, eight common food allergens must be marked on food and beverage labels. Hawaii Healing Food(™) products are low allergenic and contains none of the top eight allergic ingredients present in many foods. Eight foods or food groups are thought to account for more than 90% of all IgE-mediated food allergies on a worldwide basis (Bousquet et al., 1998; FAO, 1995). These foods or food groups are milk, eggs, fish (all species of finfish), crustacea (shrimp, crab, lobster, crayfish), peanuts, soybeans, tree nuts (almonds, walnuts, pecans, cashews, Brazil nuts, pistachios, hazelnuts also known as filberts, pine nuts also known as pinyon nuts, macadamia nuts, chestnuts, and hickory nuts), and wheat. Lactose intolerance keeps an estimated 50 million Americans, including as many as 75 percent of African Americans and 90 percent of Asian Americans, from effectively digesting dairy products. Soy is one of the top allergens—substances that cause allergic reactions. Today, soy is widely accepted as one of the "big eight" that cause immediate hypersensitivity reactions. People allergic to soy protein face constant danger. Hidden soy exists in thousands of everyday foods, cosmetics and industrial products such as inks, cardboards, paints, cars and mattresses. Thousands of cases are reported from people who have experienced severe allergic reactions to soy after eating foods that contained soybean proteins. Hawaii Healing Food(™) products are low allergenic and contains none of the top eight allergic ingredients present in many foods. Allergy prevalence and awareness is growing and Hawaii Healing Food(™) products are already in demand as a delicious, low allergenic, and gluten free food. Based on the unique characteristics of poi, it’s long cultural historic use as a healing food, and sound medical science, Hawaii Healing Food™ products are presented as an answer to a critical need that exists in our world today.